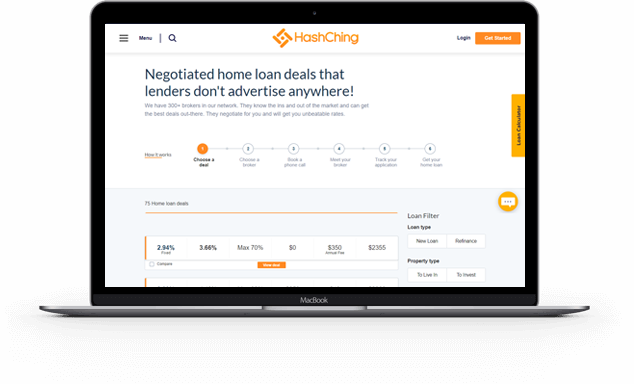 46,358 Australians trusted HashChing to help them find their home loan! Access Pre-negotiated home loan deals not advertised by the lenders anywhere! We help you search for a home loan deal just like you'd shop for anything else online. Our brokers provide you better home loan rates, so you can have more time doing things you enjoy. 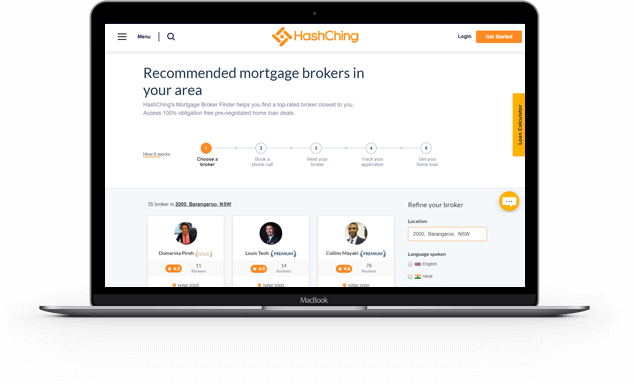 Get instantly connected to a Verified local broker, from our network of 347 brokers, who are reviewed by other borrowers in your area. 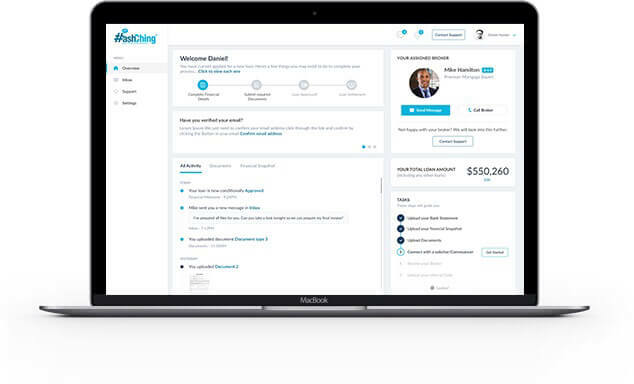 Your secure Dashboard allows you to chat to your broker securely anytime, and get updates on your application, all the way through to settlement. We won't charge you anything, ever. We get a commission by the broker once your loan is settled. Being heard as a customer is a very big thing for me and I felt validated. I felt like I wasn't just another number. $8,000 saved interest over 12 months and my payments went from $800 a week down to 490 a week. As soon as you do your application online they straight away reply and then within twenty-four hours you get a broker contacting you. HashChing Pty Ltd © 2019. All Rights Reserved.